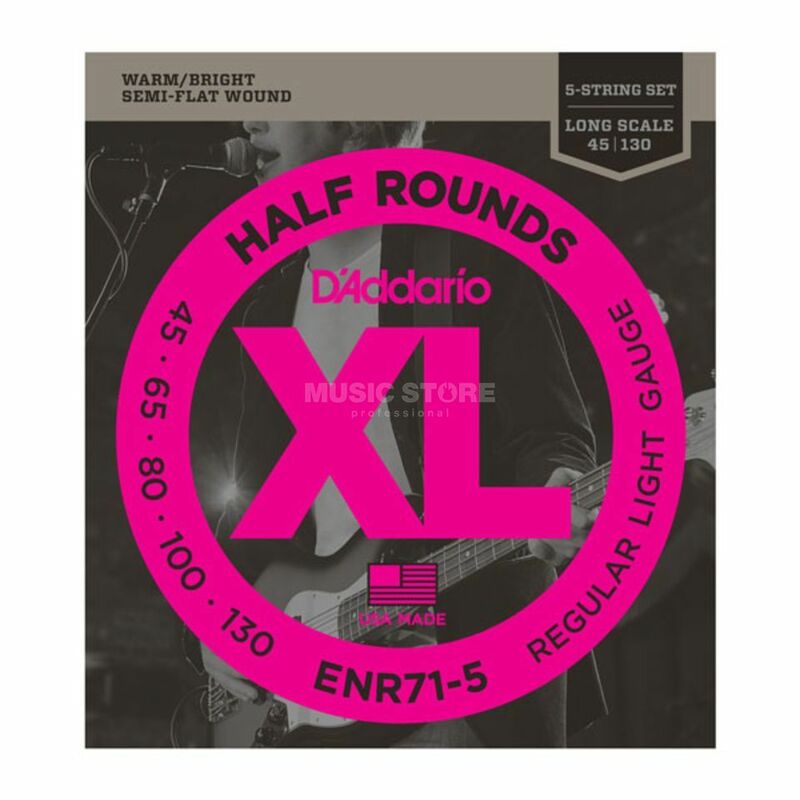 The D'Addario ENR71-5 Regular Light Bass 5-Strings 45-130 is a set of five strings for a bass guitar. The ENR71-5 set features an exclusive "Half Round" manufacturing process. These strings are round wound with pure nickel and then precision ground leaving the outer surface smooth and "semi-flat". This produce a string with the tone and tension characteristics of round wound strings, yet a smoother feel, similar to flat wounds. These strings are designed to fit long scale basses with a scale length of up to 36.25". An exclusive heat treating process ensures that these Half Round strings retain round wound brightness and sustain.